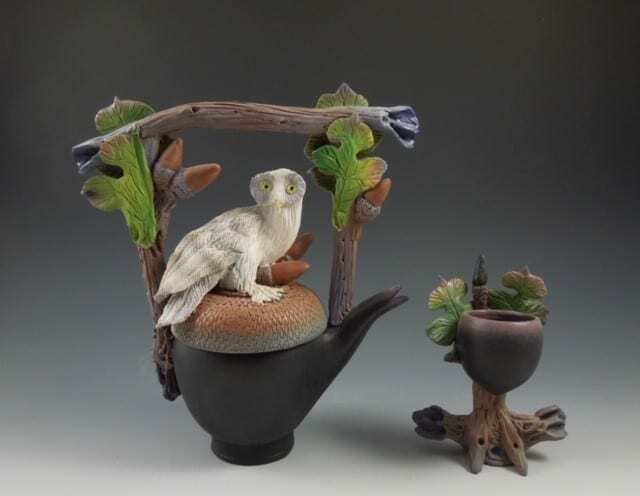 You’ll be able to see art by Ellen Silberlicht, Noi Volkov, Nancy Y. Adams and Elaine Hyde as well as several others who specialize in creating unique teapots, using a variety of different mediums. Their interpretation of the common teapot ranges from whimsical to spectacular. Silberlicht creates her pottery teapots using clay and fiber slow fired and beautiful. Russian-born artist Noi Volkov uses Saatchi Art to create ceramic teapots influenced by art history and pop culture. Nancy Yturriago Adams also is a ceramics artist whose teapots are whimsical and happy. Hyde’s work is beautiful blown glass combined with precious metals. One of the few female blown glass artists, Hyde studied under Dale Chihuly. After the opening reception on February 9, “Hot Teapots” will continue to be exhibited at Syd Entel Galleries and Susan Benjamin Glass until March 16. Syd Entel Galleries are located at 247 Main Street in Safety Harbor. If you would like to attend the reception, please RSVP by calling Syd Entel Galleries at 727-725-1808 or responding online at www.sydentelgalleries.com for more info. For other recent shows at Syd Entel Galleries check out this story on Peter Max.